The EU brings together representatives from youth organisations as well as young leadres to build bridges across cultures and borders. By building partnership trust among young people from all continets, the EU empowers the youth to be both actor of and driver for social and political change. International Youth Day on August 12 celebrates the role of young woman and men as essential partners in change, and provides opportunity to raise awareness of challenges and problems facing the world`s youth. It is no coincidence that the successful Erasmus programme is often cited first as an example of the benefits of European integration and prosperity. In line with the Commission’s proposals for a new EU Youth Strategy, 2018 has already seen the promising EU Conference on Youth, Peace and Security bringing together young peacebuilders, senior EU leaders and representatives from civil society and will continue to be a promising year for youth involvement in peacebuilding and political decision-making, both within the EU and beyond its borders. 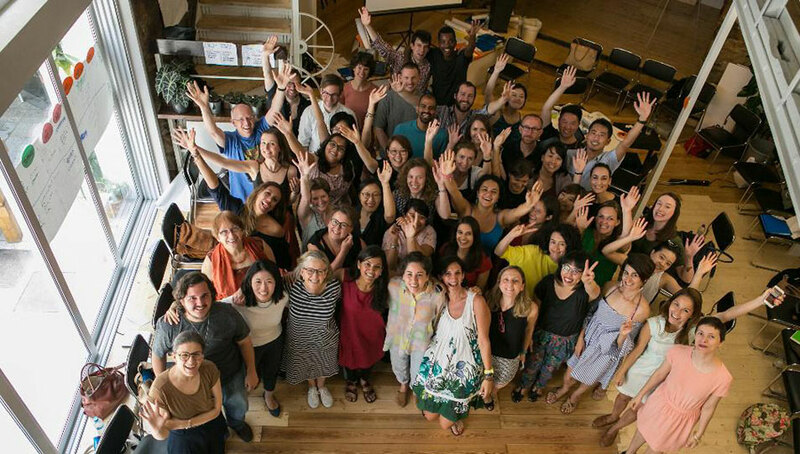 Every year, 40 young talented cultural managers from the EU Member States and its strategic partners (Brazil, Canada, China, India, Japan, Mexico, Russia, South Africa, South Korea and the United States) gather for training under the EU’s Global Cultural Leadership Programme (GCLP). Led by the Partnership Instrument-funded Cultural Diplomacy Platform, the Programme aims to support youth empowerment and opens up spaces for future international cultural collaboration and promotes more inclusive societies. During these seminars, young cultural managers have the opportunity to understand the challenges of cultural diplomacy and international cultural collaboration and learn from their interactions with peers beyond borders to shape the society of the future. The GCLP alumni network is growing and slowly building up a global community of like-minded young people in the field of art and culture. Previous GCLP participants are now able to spread the word about how the programme has turned them into agents of change. After Valletta in 2016 and Athens in 2017, 40 selected young talented young practitioners are awaited for a one-week training in Amsterdam, Netherlands, from 28 October – 1 November 2018.
International affairs are not just about governments’ meetings: youth also plays a substantial role in shaping formal bilateral relations. To underpin the strategic partnership between the EU and Canada, the EU-Canada Youth Transatlantic Civil Society Dialogues will be launched this autumn to connect youth and youth-related organisations from the EU and Canada. To play their part in fostering bilateral relations, they will make their voices heard on how to prevent conflicts and violent extremism and to promote sustainable peace through gender equality and climate action. They will also brainstorm on how to reap the benefits of digitalisation, such as overcoming exclusion, and examine the dangers of the digital world, including hate speech. The International Youth Day is also a celebration of the potential of the youth to be peacebuilders. Under the Aswat Faeela (‘Active Voices’) project funded by the Instrument contributing to Stability and Peace (IcSP), the EU empowers young Syrians to together design their own solutions to problems within their communities. Through a capacity building learning journey young Syrians are equipped to address challenges in the fields of economic recovery, social cohesion and peacebuilding at grass root level within their communities as well as with young Lebanese and Jordanians. Aswat Faeela has created a network of 21 self-sustaining Syrian youth community groups in Syria, Lebanon, Jordan, Turkey, Denmark, France, Germany and the Netherlands. These groups share a common set of values emphasising rights-based and do-no-harm approaches, as well as embracing ownership, diversity, inclusiveness and valuing differences. In total, more than 3,000 young Syrians have been empowered to shape the future of their home country and to build bridges between Syrians everywhere and within their host communities. Iyad, a 29 -year-old Syrian newly-wed who fled to Jordan with his wife in 2013, after violence escalated in Syria, joined Aswat Faeela as a community builder. He strongly supports the role of youth in peacebuilding: “Young Syrians have great potential; they are the ones who eventually will have to rebuild a country, however, most are currently missing out on opportunities to build social skills and networks, and develop confidence. This is where Aswat Faeela steps in”. Funded by the EU’s Partnership Instrument, the Global Cultural Leadership Programme (GCLP) is the main training component of the Cultural Diplomacy Platform launched in 2016. Its principal objective is to support young cultural managers emerging on the international scene and coming from ten Strategic Partners of the EU and from EU Member States, by developing and strengthening their cultural leadership skills. Valetta, Malta, and Athens, Greece, the third edition will be held in Amsterdam, Netherlands from 28 October to 1 November. Aswat Faeela (Active Voices) is a regional youth development project funded by the Instrument contributing to Stability and Peace, led by the British Council and implemented through a consortium of partners (including International Alert and Search for Common Ground.) It supports Syrian youth to work within their communities to find solutions to issues that challenge them and provides them with safe spaces to design collaborative solutions. The EU Conference on Youth, Peace and Security took place in May 2018 and was realised in partnership between the EU, the UN and civil society, and brought together 70 young peacebuilders, representing 27 EU countries and 29 partner countries, engaged in nine EU youth networks from Europe, Africa and the Mediterranean. It was funded by the Partnership Instrument.